Grocery Stores around Bugibba, Qawra & St Paul's Bay are plentiful offering daily fresh produce & 'day to day' essentials. 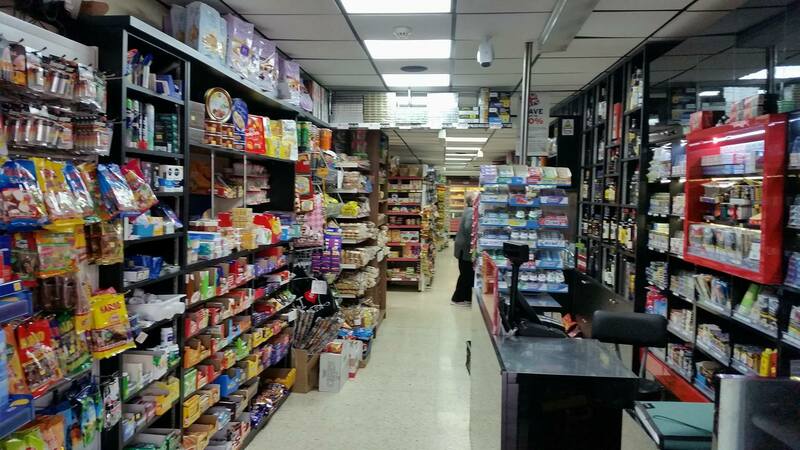 Larger ones also offer frozen foods, deli counter and even a delivery option. 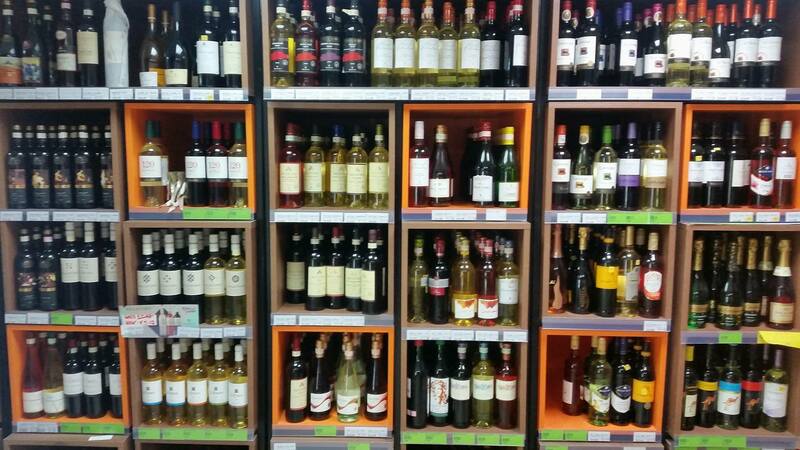 Beers, wines & spirits can also be purchased at many with opening hours being from very early in most cases. A & A Market, 3,	Triq it-Turisti, Qawra SPB 1026 Tel: 21576378. 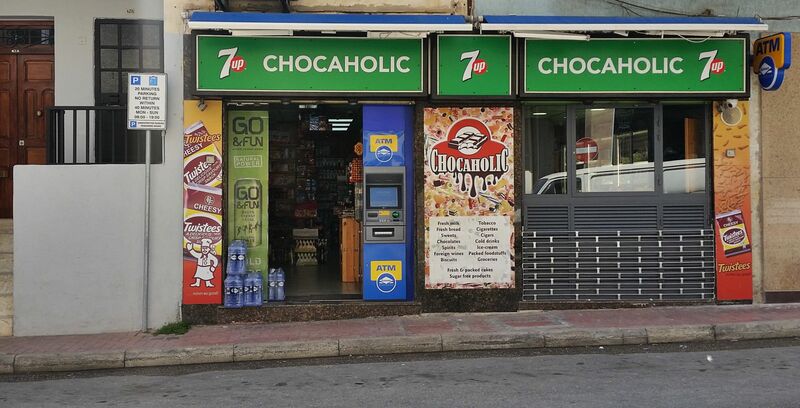 A & Z Self Service, Triq il-Halel, Bugibba SPB 2526 Tel: 21579390. Alimix, Triq Nicola Ardoino, Qawra SPB Tel: ---------------. 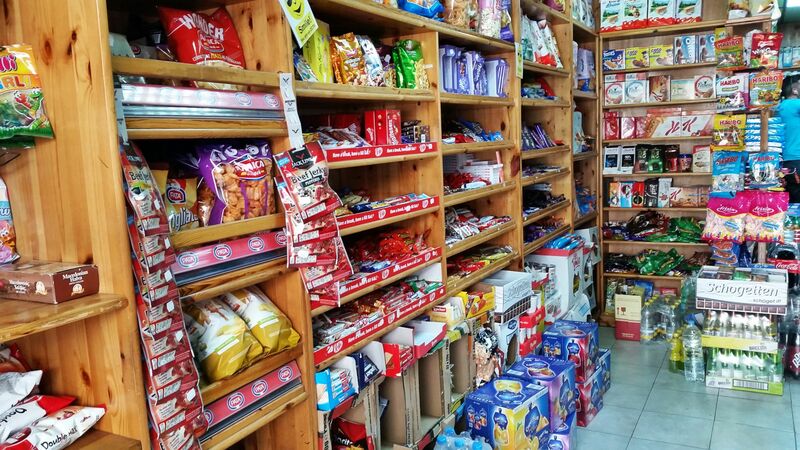 Amro Mini Market, 39,	Triq il-Hgejjeg, Bugibba SPB 2826 Tel: 21574746. Astra Mini Market, Triq il-Qawra, Qawra SPB 1904 Tel: 21575171. Easy Buy, Triq Patri Guzepp Calleja, St Paul’s Bay SPB 2734 Tel: 21577738. Fab’s Mini Store, Triq il-Kahli, St Paul’s Bay SPB 3011 Tel: 21581873. 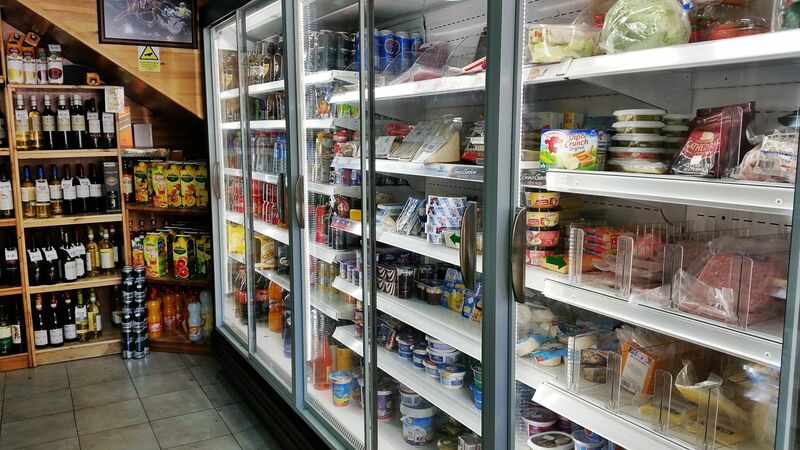 Food Store & Self Service, Triq San Pawl, St Paul’s Bay SPB 3417 Tel: 21572478. Gingers Food Store, 44,	Dawret il-Gzejjer, Bugibba SPB 2503 Tel: 21573304. 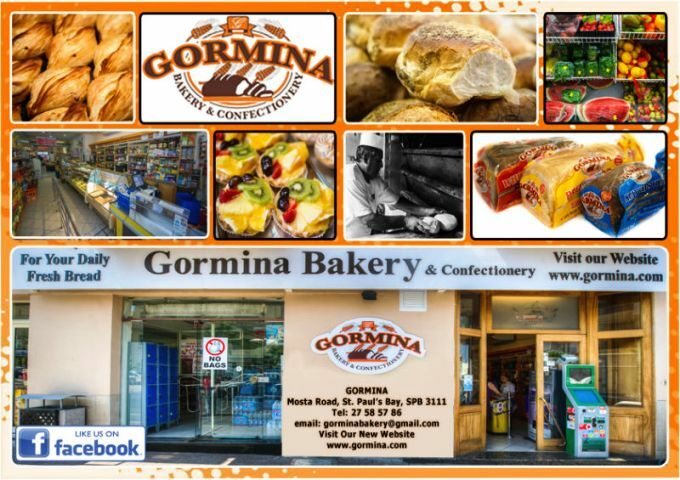 Gormina Bakery, Triq il-Mosta, St Paul’s Bay SPB 3111 We are a long established family business renowned for the quality & freshness of our home baked bread including Maltese loaves & ftira. This quality was obtained through experience passed down the generations to George Mifsud himself. We are also a confectionery baking cakes & pastries and are stocked with a wide selection of daily needs & groceries. Tel: 27585786. 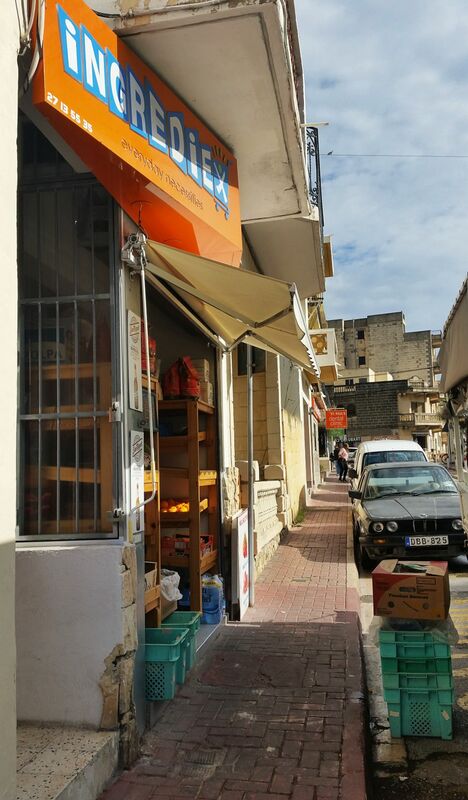 Ideal Discount Store, 1,	Triq il-Knisja, St Paul’s Bay SPB 3251 Tel: 21573153. Ingrediex Mini Market, Triq il-Mosta, St Paul’s Bay Ingrediex grocery and mini-market is centrally located in the busy Mosta road. 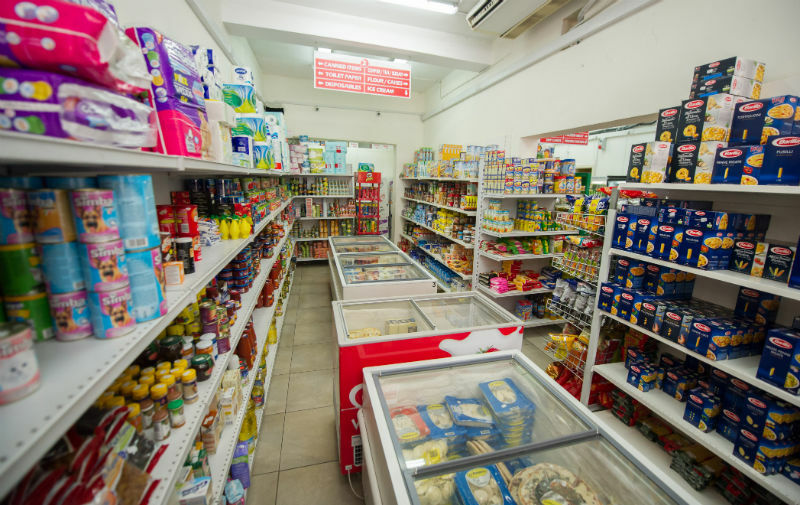 We offer a wide range of detergents, confectionery items, a selection of fresh fruits and vegetables and fresh cold cuts and cheese. You can also find cold drinks, canned goods, bread, milk, wine and much more. Tel. 77373295.
International Mini Market, 65,	Triq Sant' Antnin, Bugibba SPB	Welcome to The International Mini Market Importers and suppliers of quality foods from Romania, Bulgaria, Poland and Turkey Veselina offers you the opportunity to buy all of your favourite foods from home, along with many local products under one roof. 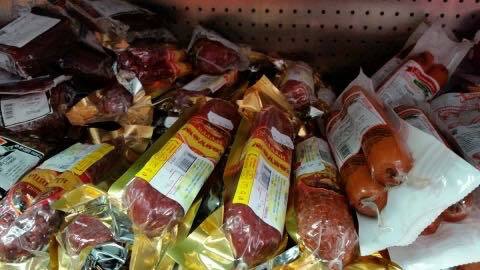 From quality meats to confectionery, cheeses, beauty products, groceries plus much more including local products too! Tel: 9906 9901. 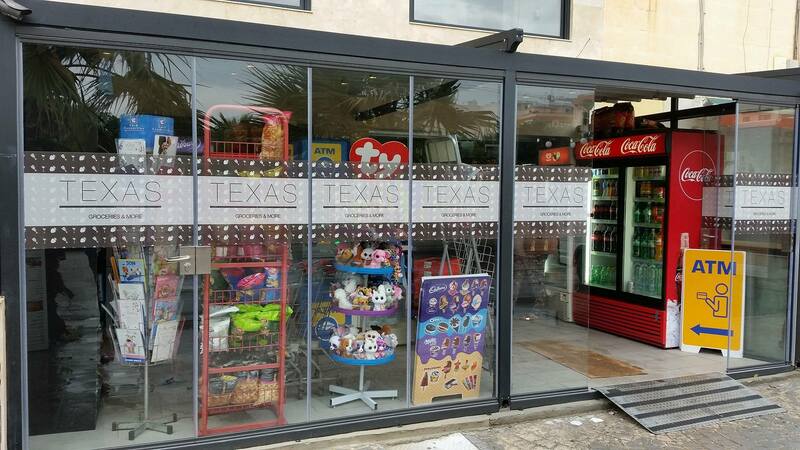 J & M Self Service, Triq il-Mosta, St Paul’s Bay SPB 3114 Tel: 21574444. JD Limited, Triq il-Mosta, St Paul’s Bay SPB Tel: 21576738. 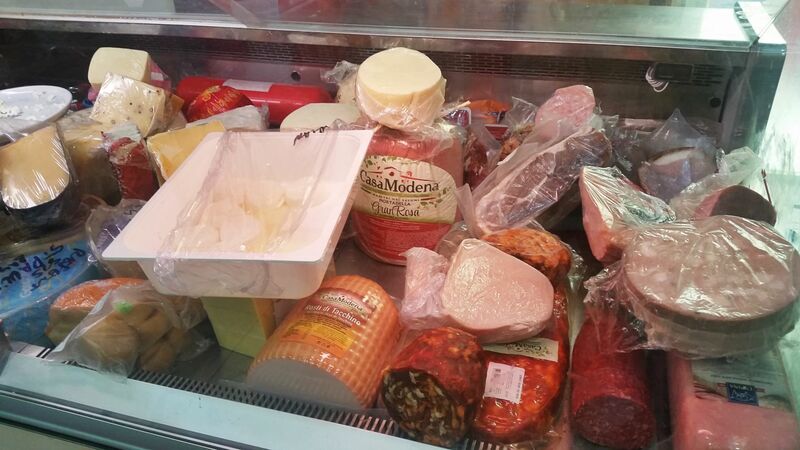 Jupiter Self Service, 6,	Triq il-Mazzola, Bugibba SPB Tel: 21571973. 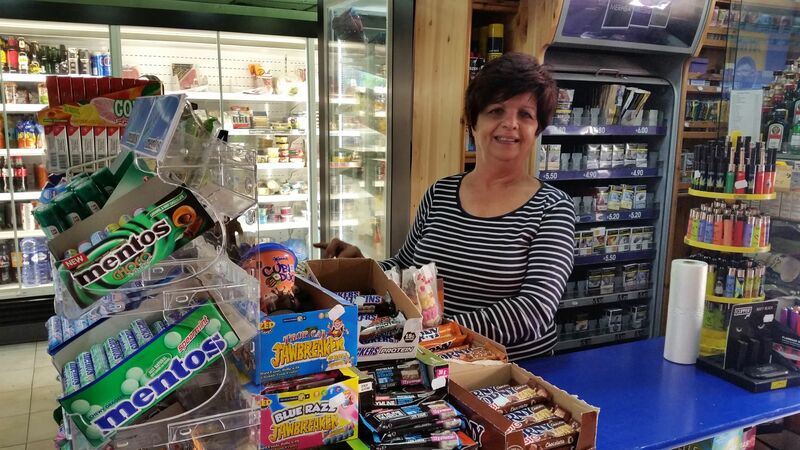 Lawrence Mini market, 95,	Triq Patri Guzepp Calleja, St Paul’s Bay SPB 2734 Tel: 21580966. 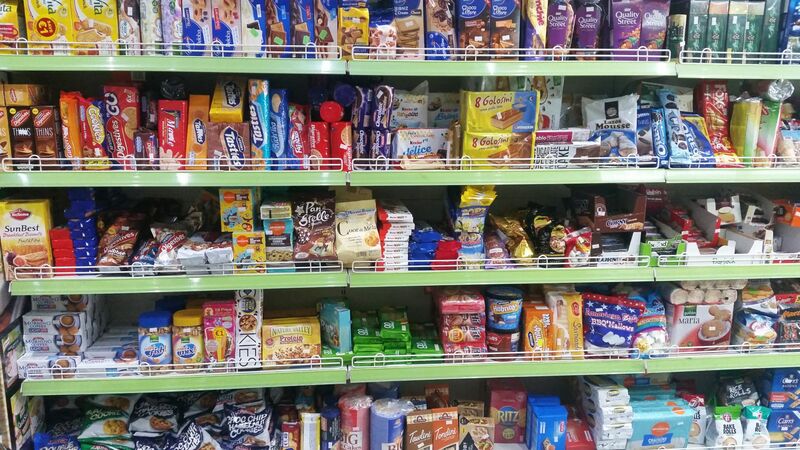 Mariam’s Mini Market, Triq il-Kahli, St Paul’s Bay SPB Tel: ---------------. 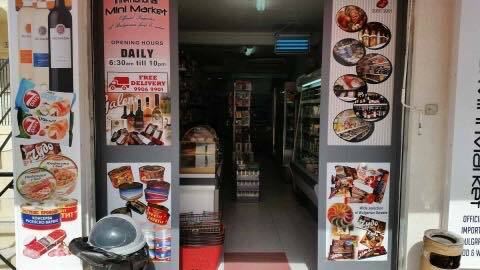 Mini Asian Food Store, Triq il-Hatab, St Paul’s Bay SPB 2863 Tel: 99834969. Mini Market, Triq it-Tamar, Qawra SPB Tel: ---------------. Ohio Mini Market, Triq Sant' Aristarku, St Paul’s Bay SPB 3200 Tel: 99133857. 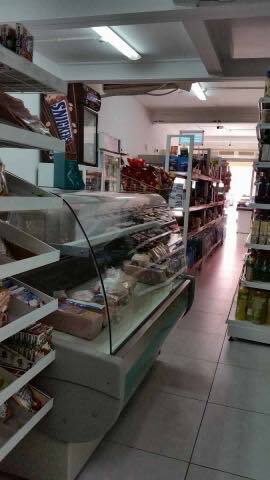 P & S Mini Market, Triq ir-Rizzi, Qawra SPB Tel: ---------------. Rayan Shop 2, Triq Ic-Cern, Bugibba SPB Tel: ---------------. Reno’s Food Store, Triq Gulju, Bugibba SPB 2610 Tel: 21570333. Said Daily Fresh, Triq il-Lampuki, St Paul’s Bay SPB 3066 Tel: 21573406. Slipway Store, 39,	Telghet ix-Xemxija, Xemxija SPB 9026 Tel: 21581192. Solair Mini Market, 14-16,	Triq il-Gwiebi, Bugibba SPB 3210 Tel: 21571941. Stepping Stone, Triq il-Merluzz, Qawra SPB Tel: ---------------. 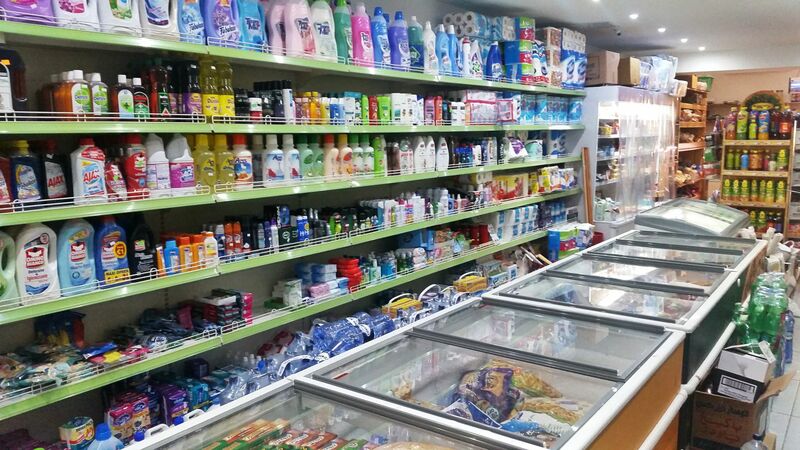 Sunny Coast Mini Market, Triq il-Qawra, Qawra SPB 1905 Tel: 99063033. Texas Groceries and More, Triq il-Maskli, Qawra SPB 1482 Your local supermarket offering great prices on all groceries, wines & spirits & other items. 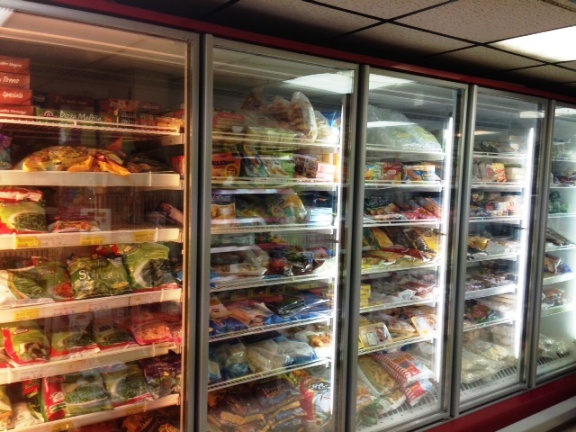 Large selection of frozen foods plus delicatessen counter. Open daily from early til late with all your daily needs & located next door to the Hotel Santana & close to Mavina & Euroclub hotels. Daily newspapers, magazines & cigarettes also available. Tel: 21575912. The Food Shop, Triq Cassarino, Qawra SPB 1016 Tel: 21570617. The Olive Tree Convenience Shop, Triq il-Korp tal-Pijunieri, Bugibba Tel. 79931298. Tuck A Bag Confectionery & Daily Needs, Triq Burmarrad, Burmarrad SPB 9064 Tel: 21585898. Vegmix Too, Triq it-Tamar, Qawra SPB 1284 Tel: 21571525. 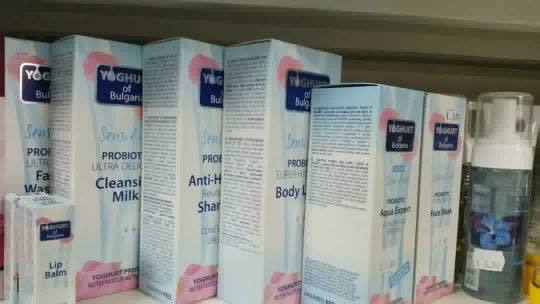 YBB African-Euro Co Ltd, Triq Barnaba, Bugibba SPB 1311 Tel: 27295863.